Good morning. It's Wednesday, Jan. 9. • Employees pretend to be happy at "cult-like" Facebook. • Striking images of the scars left by redwood poachers. • And a look back at Hollywood nightlife before Instagram. 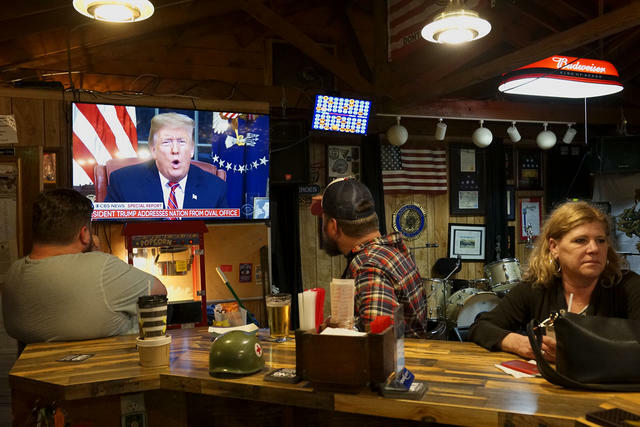 People watched President Trump's remarks at an American Legion post in Encinitas on Tuesday. In his speech to the nation Tuesday night, President Trump used the killing of two Californians by unauthorized immigrants as evidence of a threat that lurks in the absence of a border wall. Fact-checkers noted that it was unclear whether a border wall would have prevented those tragedies. Moreover, research has shown that immigrants — legal or otherwise — commit fewer crimes than American-born citizens. Standing in a densely wooded community in the Sierra foothills, Gov. Gavin Newsom announced $105 million in new fire-related spending — on top of $200 million already approved by lawmakers. He said it was a symbolic choice to focus on wildfires on his first full day in office. "We need to do more and better," he said. "The last two years have been devastating." Sen. Kamala Harris appears to be building a case for a White House bid. Signs continue to mount that Sen. Kamala Harris will announce a bid for the presidency. Her political memoir, "The Truths We Hold," is now being released with a narrative for the campaign. 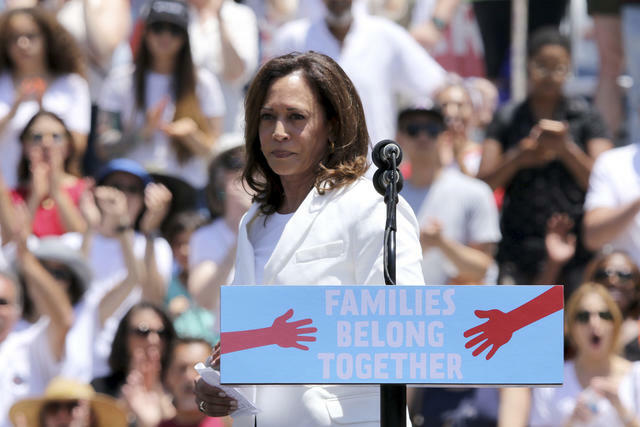 One likely message, according to an L.A. Times review: that Harris has the backbone to champion a new economic order. An NPR critic cringed over the prose. "Is it a great book?" she wrote. "No. No, it is not." The population of mentally ill inmates in California has jumped by 33 percent over the last three years. The increase has raised questions about whether claiming a mental defect has become a popular legal maneuver. 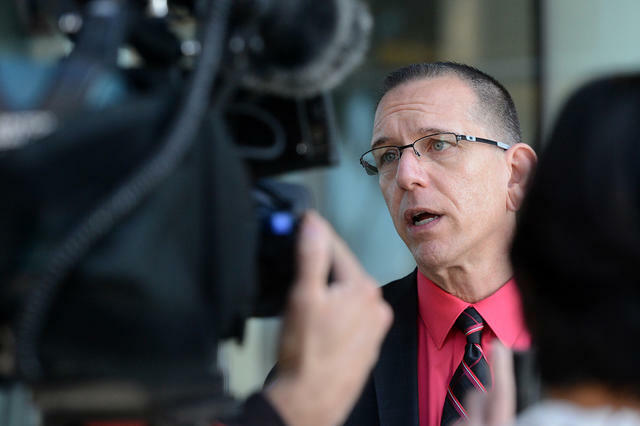 Lawyers for the suspect in the recent killing of a Central Valley police officer are now calling for their client's competence to be evaluated. 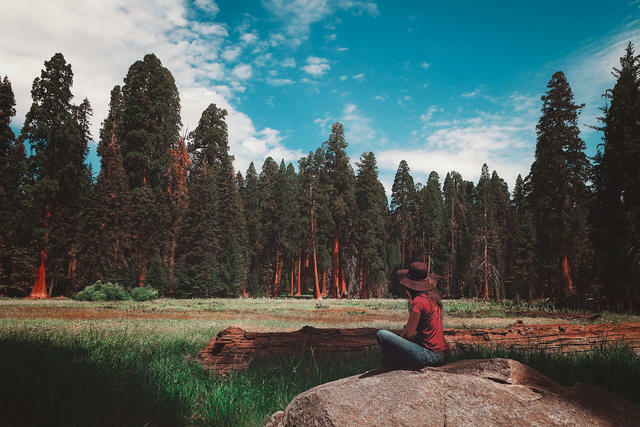 A woman soaked in the serenity at Sequoia National Park. A former National Geographic travel photographer and his wife spent a year visiting all of America’s national parks, then listed their 12 favorites. Several California treasures made the cut, including Sequoia National Park. "It's one of those locations," the photographer said, "where you feel you just want to be quiet in the nature because it's just too beautiful." A glimpse inside Facebook's "cult-like" bubble: At a company town hall last October, a young woman stood up and addressed Sheryl Sandberg, the chief operating officer. "I was reticent to speak, Sheryl, because the pressure for us to act as though everything is fine and that we love working here is so great that it hurts," she said. "There shouldn't be this pressure to pretend to love something when I don't feel this way." A wave of applause rose. The Chico Enterprise-Record launched an ambitious project to profile all 86 lives lost in the Nov. 8 Camp Fire, the deadliest and most destructive in state history. 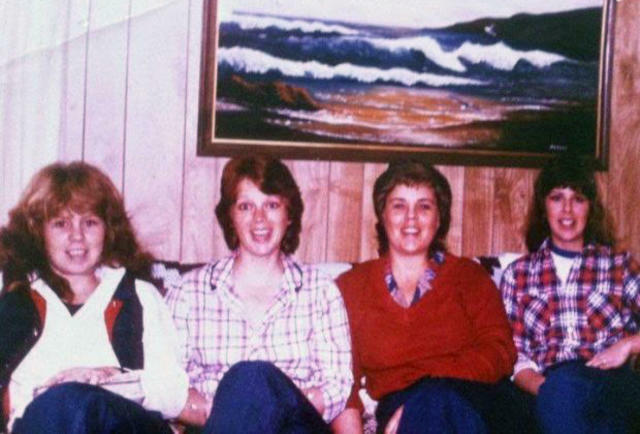 Deborah Morningstar — pictured above, second from left — was known for her goofy sense of humor. A pair of coyotes were captured on video frolicking in a San Francisco park. A lone female coyote had been known to live in the Bernal Heights Hill neighborhood for years. But in recent months, one became two. Biologists say as many 70 coyotes have adapted to living within San Francisco's urban landscape. 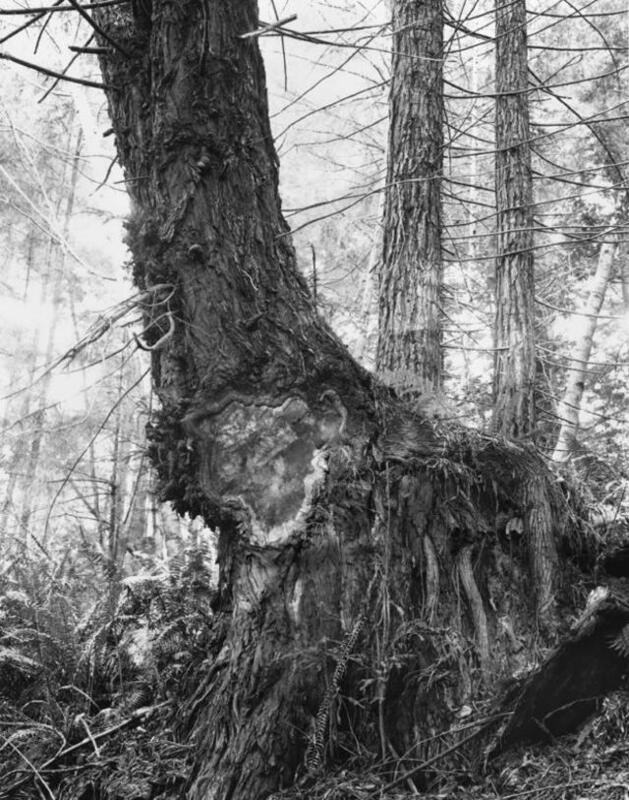 For years, poachers have been carving gnarly protrusions, known as burls, from Humboldt County's ancient redwoods. Prized by woodworkers for their intricate patterns, the plunder can fetch thousands of dollars. A pair of San Francisco photographers spent three years documenting the scars left behind for a book, "Live Burls." Here are a couple collections of the striking images. A campground at Joshua Tree was closed to visitors. 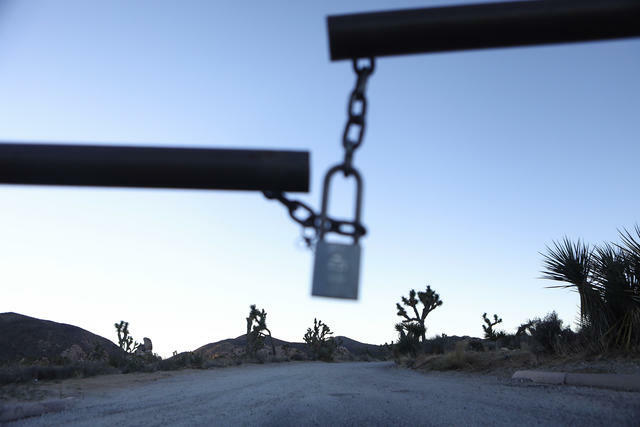 Joshua Tree National Park is closing after visitors entered and, without rangers on hand, drove off pavement and defaced namesake Joshua trees. A skeleton staff at the park has struggled to keep trash cans and toilets from overflowing during the government shutdown. San Diego became the largest city in California to ban Styrofoam products, which are blamed for poisoning fish and other marine life. Restaurant owners opposed to the move said environmentally friendly containers would cost twice as much, an expense that would be passed on to consumers. Michael Selyem invited doubts about whether his personal beliefs were affecting his work. Justin Timberlake, left, Britney Spears, and Ryan Gosling at Vinyl in 2001. The Hollywood Reporter published a series of never-before-seen photos of Hollywood nightlife in the early 2000s, an era before social media when young stars could actually go to bars and have fun with their friends. 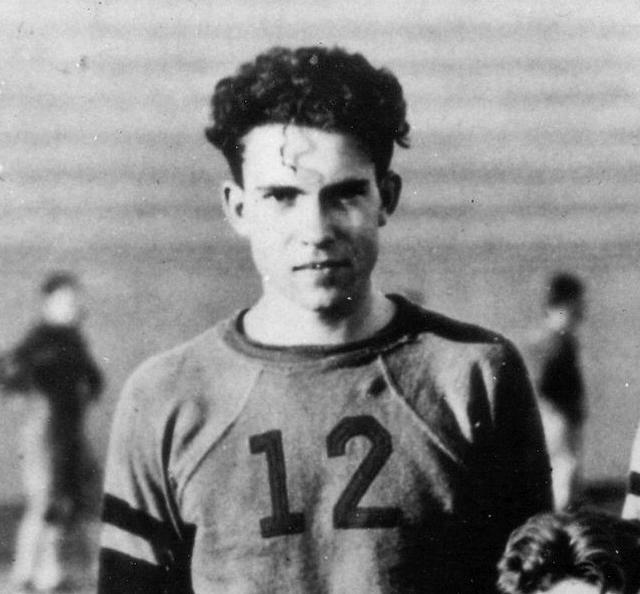 Here is Richard Nixon, about age 20, as a member of Whittier College's second-string football team. Born in rural Yorba Linda on this day in 1913, Nixon had a tumultuous upbringing. The family was so poor they couldn't afford a firecracker on July Fourth or a turkey for Thanksgiving. Nixon's father, who worked odd jobs, was by many accounts an ogre prone to flights of rage. Two of Nixon's brothers died young from illness. Biographers have portrayed young Nixon as a striver propelled by doubts about his worthiness and resentments of classmates from prominent families. Parallels have often been drawn between his presidency and that of the current White House occupant. "Yet Trump," one critic wrote, "is precisely the sort of wealthy East Coast silver-spoon billionaire Nixon would despise."